After drawing the tchotchke-trawling and pastry-passionate to its Carpenter & Cook outlets in Upper Bukit Timah and Upper Thomson, this vintage-loving café finds a little love in its heart to offer pizzas, sandwiches, salads and pastas. 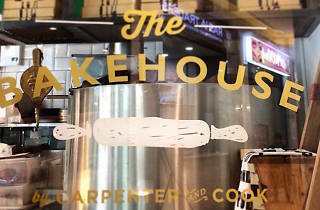 For its kitsch Bakehouse in the IKEA Alexandra neighbourhood, a lychee wood-fired oven cooks ten-inch pizzas built with Italian Caputo 00 flour. Topping combinations include chorizo, scrambled eggs and guacamole ($12), grilled chicken, prosciutto and grilled pineapple ($12), and crab cakes with lemon mayo and caramelised onions ($12). Pastas are a similarly hearty offering: they're studded with pulled pork ($14), housemade sausage slices ($14), and grilled aubergine ($14). There's also a short menu of tapas such as Italian-style chicken wings ($5.50/three) and zucchini fries ($8). 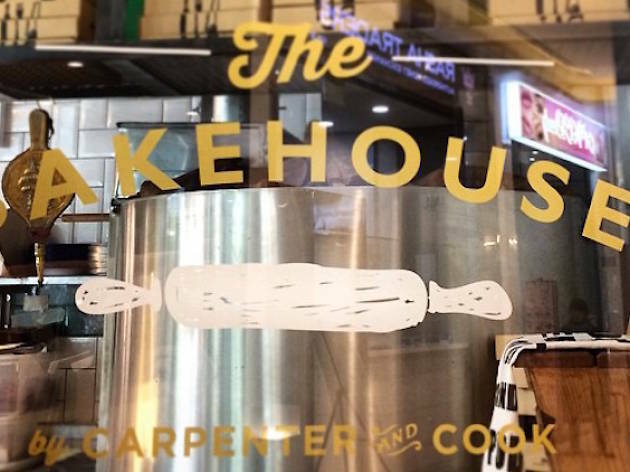 Carpenter & Cook's cakes are similarly offered here, along with its housemade breads for at-home snacking.